Happy Friday, friends! It's the first Friday in APRIL which is blowing my mind! 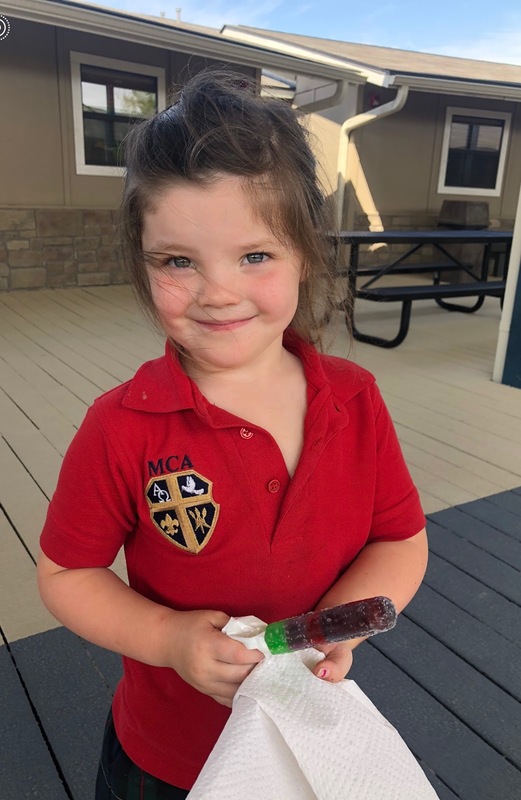 Summer break is around the corner and we are getting antsy over here! 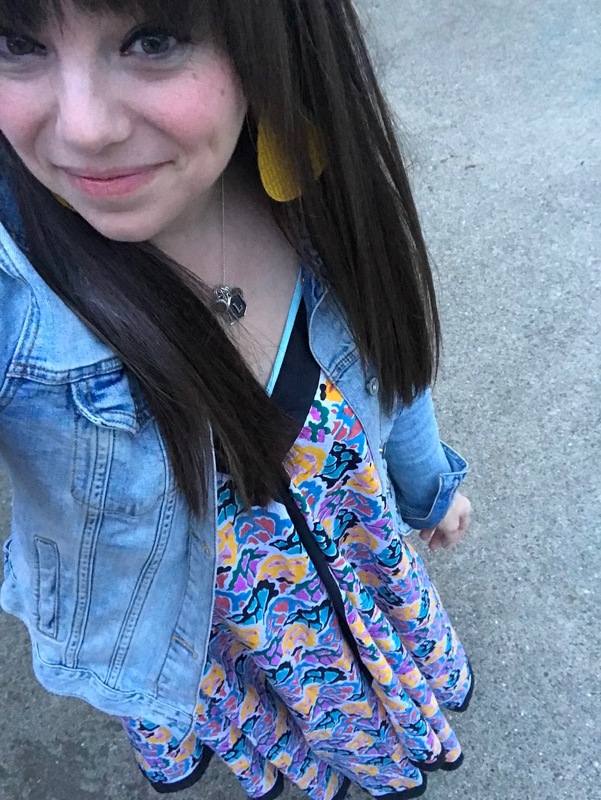 I'm excited to share my FAVORITES with y'all and if you have FAVORITES to share you should join me, Erika and Narci by grabbing our graphic and linking up with us below. I doubled the recipe, scooped it by teaspoons instead of tablespoons and baked them for 8 minutes. It made over 100 cookies and he was super happy about passing them out. My FAVORITE spot to be??? This one right here. 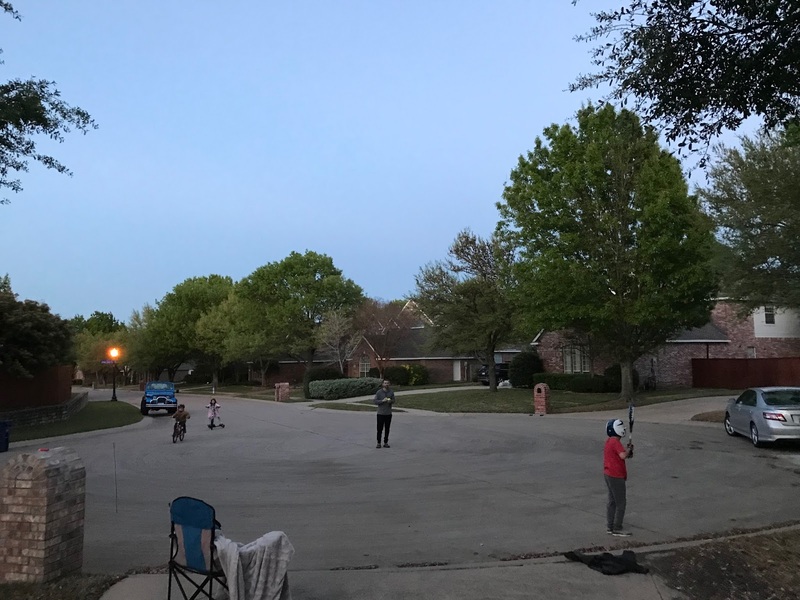 After dinner cul-de-sac time is my FAVORITE time. 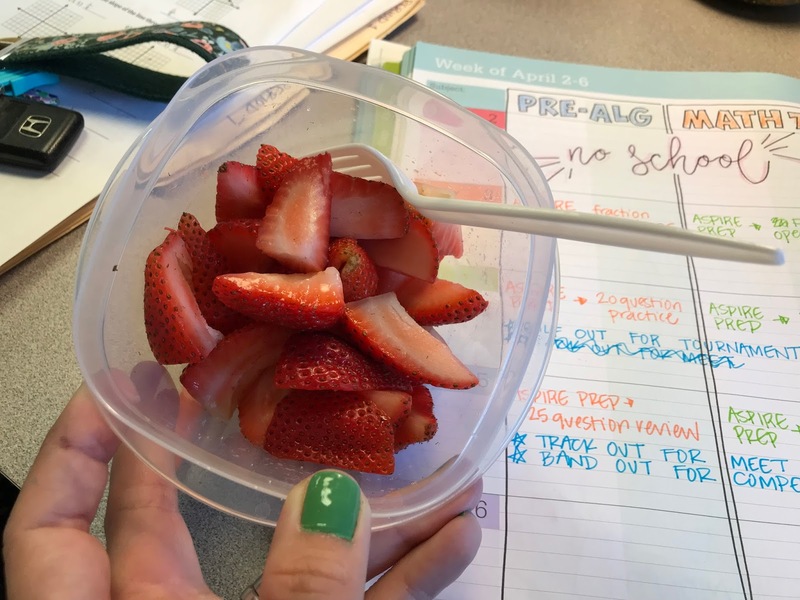 Strawberries have been SO GOOD lately - my FAVORITE afternoon snack! 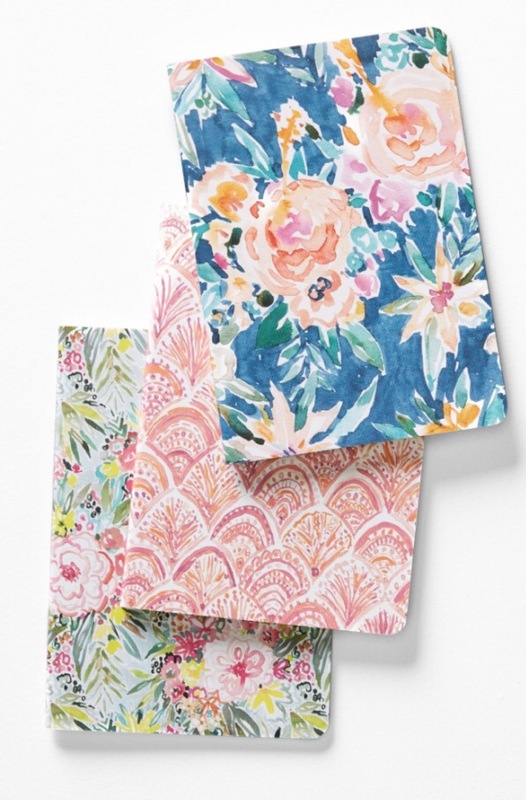 Y'all know that Anthropologie and Nordstrom are two of my FAVORITES - so Anthropologie Home items at Nordstrom (and all 20% off right now!) is AWESOME!!! This three-pack of notebooks is on sale for $12.80 and I think that one of the notebooks with a couple of pens or a gift card would be such a sweet little end-of-the-year teacher gift. One of my new FAVORITE brands was running a sale last week and I grabbed this scarf dress. 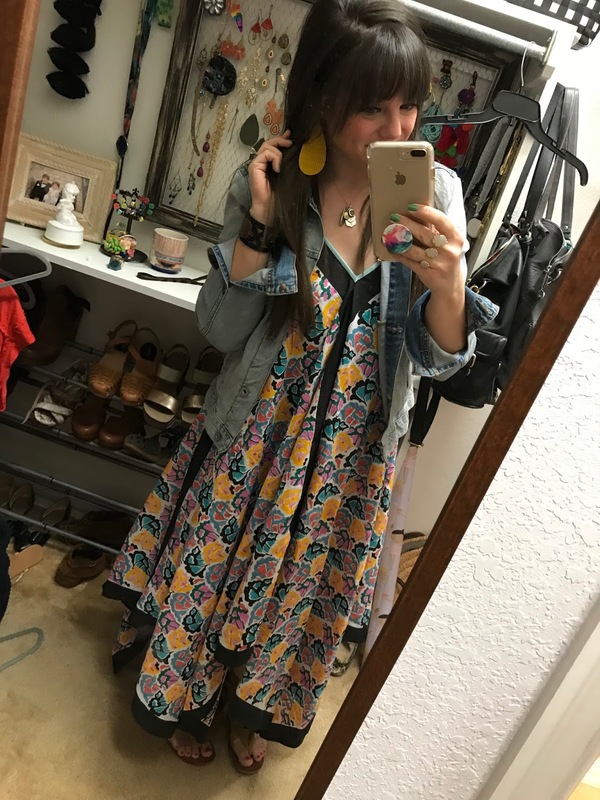 These are so fun and versatile for summer and I love that I can throw a jacket on over it and be good to go for work. We have a fun weekend planned with lots of our FAVORITES including our annual "Family Fiesta". Which reminds me that I need to log off of my computer and get my grocery list together! I cannot believe summer break is right around the corner!! And I’m tired for you!!! Baking over 100 cookies!! And now I want chocolate chip cookies for breakfast!! 🤗 Happy Friday! I love those cookies! My little boy's school won't let us bring homebaked goods-it all has to be "store bought.". There's just something special about homemade for class parties:). Brings back great childhood memories! That theater looks amazing! What a fun way to watch a movie! Girl, you guys had a BIG week!! Those chocolate chip cookies 😍😍 what a fun week!! Those cookies look delicious. I’m sure Luke was over the moon being able to pass those out. I just ordered those notebooks...thanks for sharing! They are a great price and so versatile for gifting. Happy Fiesta Weekend! I was asked to make 3 dozen chocolate chip cookies for an event next week. One guess which ones I'll be making;). Such a sweet mama to make him all those cookies. I bet they made him quite popular. As much work as it always was I loved making class treats like that. What a fun kids theater! Ours don't have anything like that but my kids are just as happy if we buy seats in the "good theater" and they can recline. Hi! Love your blog! :) I just noticed today that your 10 year old son is in 3rd grade. I am wondering how you guys decided to hold him before sending off to school? I have a son with a summer birthday and we debated about sending him off to Kinder. 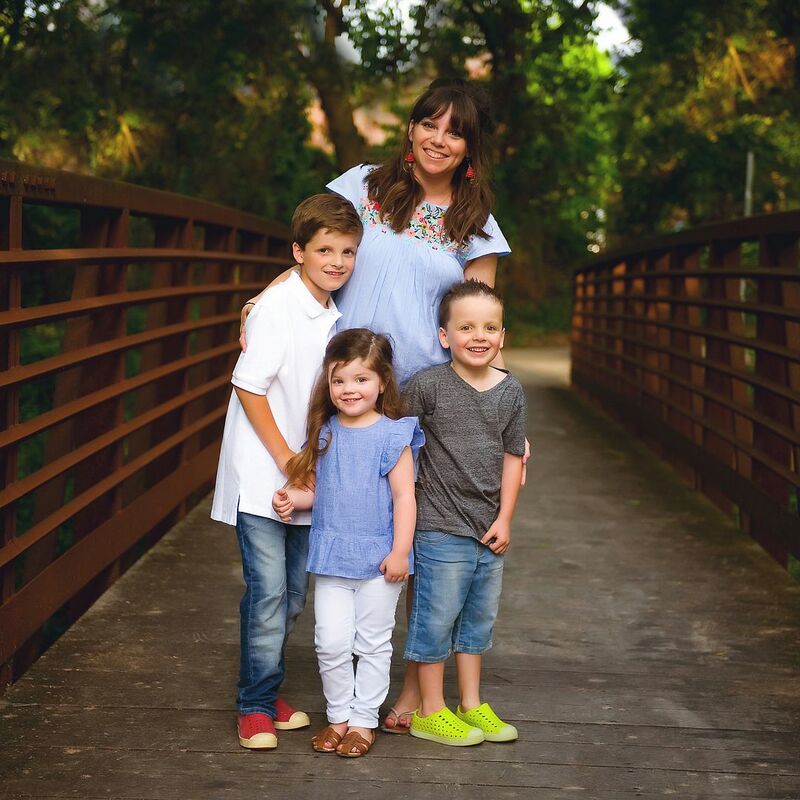 Can you share a bit about why you might have decided to hold off on school and the potential benefits of being an older kiddo in your grade? Thanks! 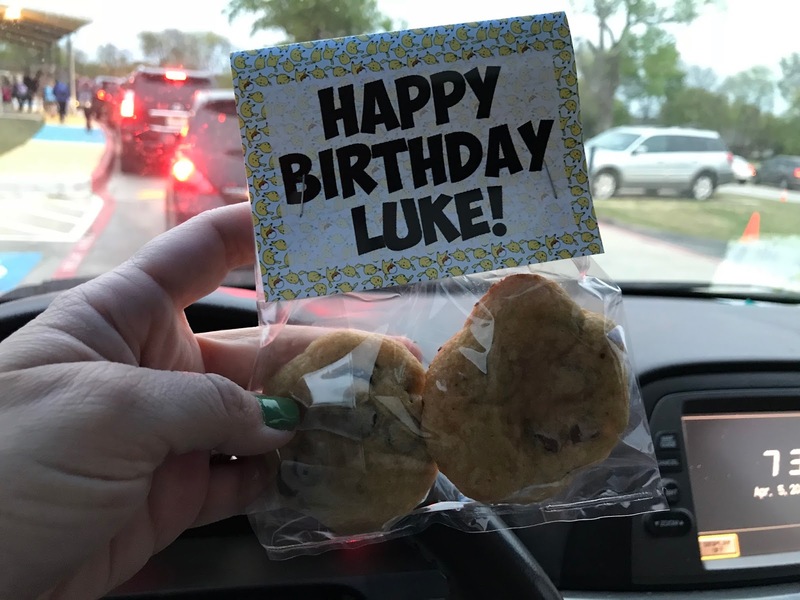 Love that you made those cookies for Luke's birthday. It is something he definitely will remember; that mom did that for him. Very special and sweet. Those cookies look so good, and I love those printed notebooks too! I'm also cohosting a linkup today—please stop by if you can! Where is the kid’s theater? Looks so fun! 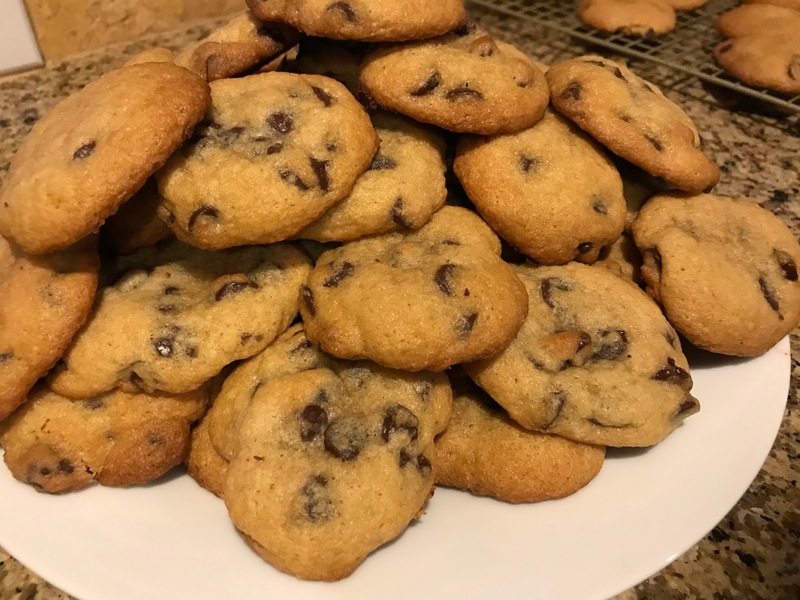 Wow - those chocolate chip cookies look amazing! Thank you for hosting the link-up - I look forward to seeing all the great ideas every week! Starting this Friday, I'm going to try hosting a link-up too, and would love to have you join me!